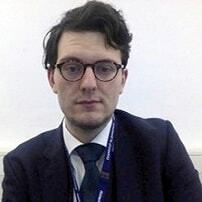 Teaching Experience : Matthew is a lecturer and PhD candidate at Canterbury Christ University, with his PhD focussing on the interrelationship between insolvency and trust law. Prior to undertaking taking this position, he completed his Masters and Undergraduate degrees at the University of Greenwich - obtaining a distinction and First Class Award respectively. In-between these two degrees, he was also called to the Bar by The Honourable Society of the Inner Temple, who also awarded him two scholarships (Major and Duke of Edinburgh) that covered the course fees of the BPTC. To further his academic career, Matthew has also begun publishing academic articles on the areas of trust and company law. Whilst studying, Matthew has obtained substantial mooting experience, representing the University of Greenwich in the BPP/OUP moot competition all the way to the semi-final, BPP in their internal moot competition to the semi-final and Inner Temple in the Pepperdine Moot against Pepperdine University. As part of his Masters, Matthew began to tutor students in mooting and advanced advocacy skills, and as result is happy to tutor mooting and advocacy in addition to academic topics.